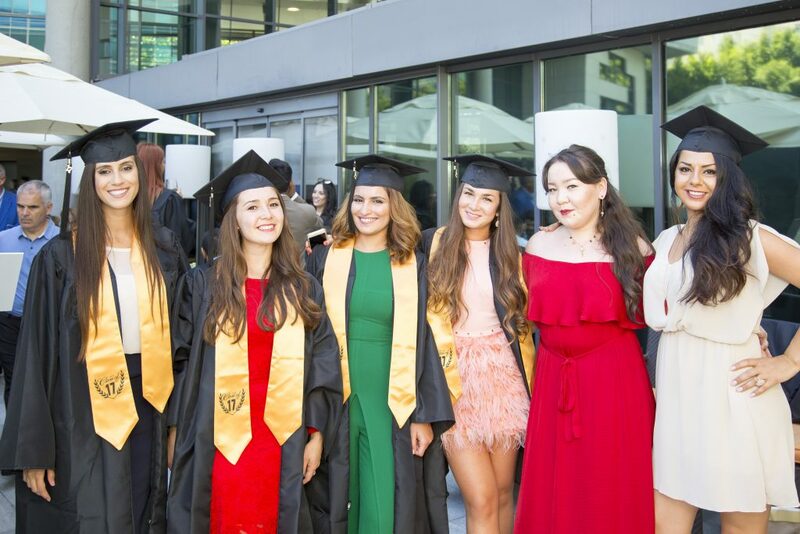 It was a day of sun, smiles, celebration and cocktails as students, parents, faculty and friends gathered for the year’s most eagerly awaited event: EU Barcelona Commencement 2017! 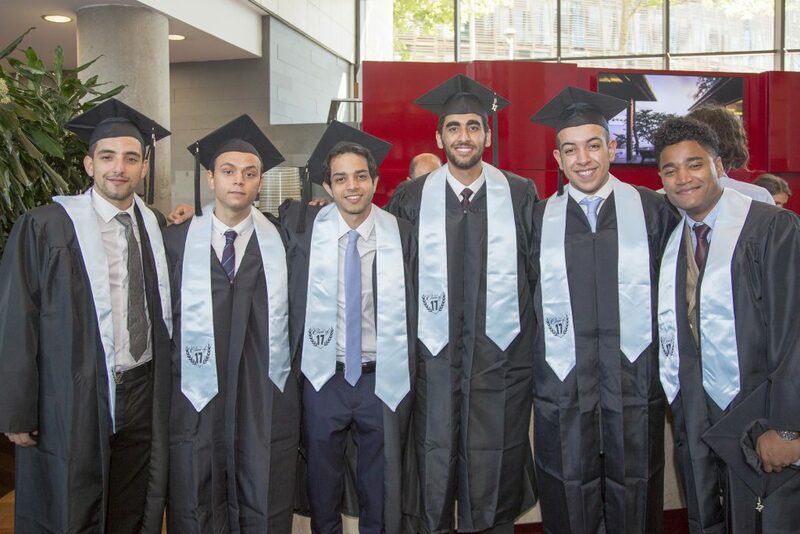 The commencement ceremony took place at Hotel Pullman Barcelona Skipper, a luxurious 5-star hotel by the beach. Students, parents and well-wishers arrived shortly after lunchtime, soaking up the atmosphere and waiting in anticipation for the event to begin. A short dress rehearsal gave a taste of things to come and ensured the smooth flow of the ceremony. 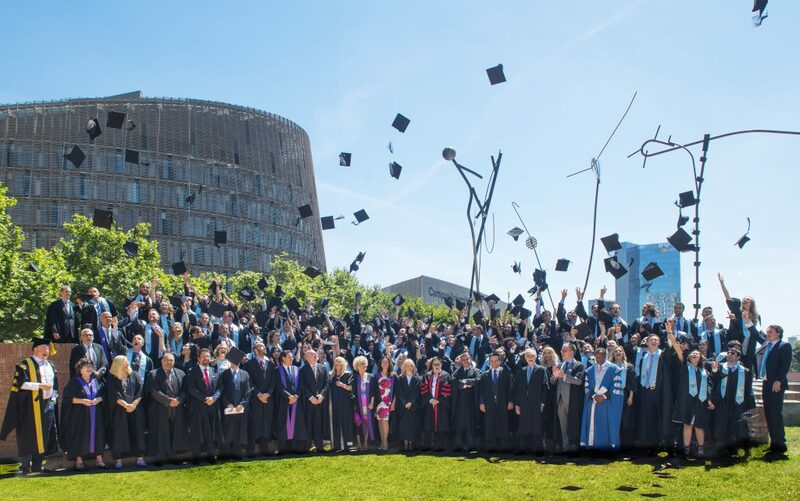 Graduates and undergraduates then made their way out into the Barcelona sunshine for the all important class of 2017 photo, complete with the traditional cap toss. After a few last minute adjustments to gowns, tassels and speeches, everyone was ready to take their place in time for the commencement ceremony to begin. 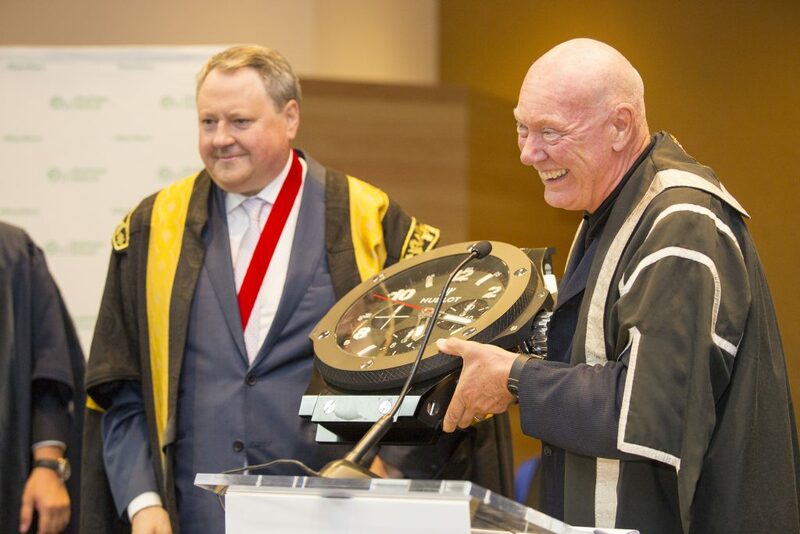 Jean-Claude Biver, chairman of Hublot and Zenith, CEO of Tag Heuer and president of the LVMH Watch Division, gave a stirring speech, urging students to shape their own future. Then came the time for the legendary watchmaker to present EU President Dr. Dirk Craen with the gift of a tremendously large Hublot watch, to take prominent place in the new Barcelona campus building. 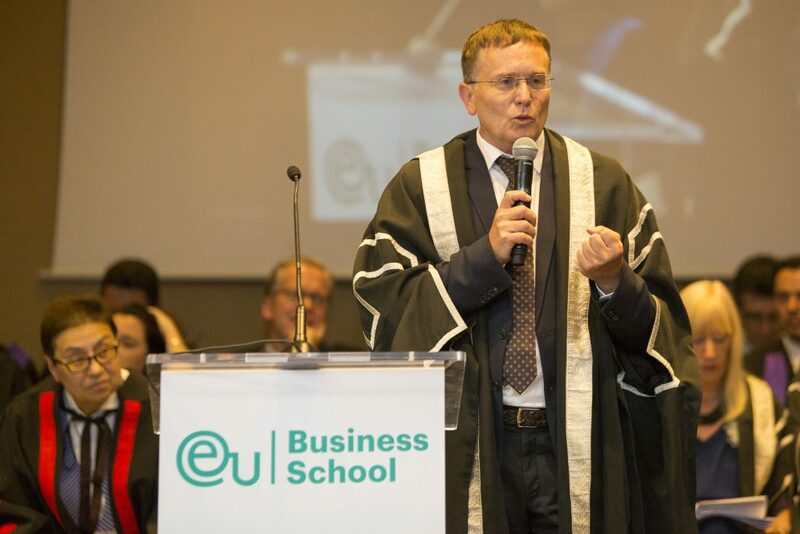 CEO of Reuge, Kurt Kupper, then spoke of how EU students have an advantage over their contemporaries. He went on to emphasize the importance of making connections, the old-fashioned way. Next, special awards were presented. 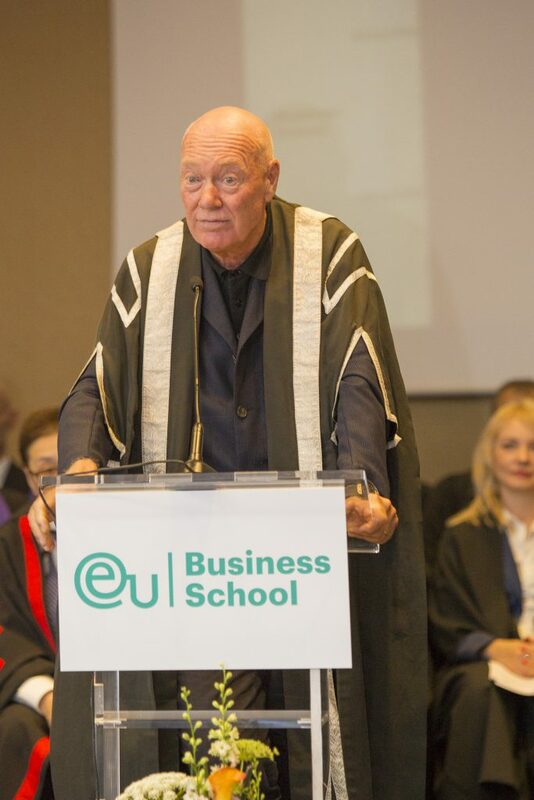 Among the winners were Toni Tió and Jean-Claude Biver, who received the leadership awards, EU alumnus Ricardo Gómez, who received the award for entrepreneurship, and the Gasol Foundation, who won the social responsibility award, accepted by executive director Cristina Ribes. Other winners included Oscar Parella, Kongoh, Ricoh and Walter Pack. Then came the roll call. Graduates and imminent graduates were called to the stage, before special awards were presented to students and faculty in recognition of outstanding performance. Just before the commencement ceremony came to a close, top performing students took to the stage. 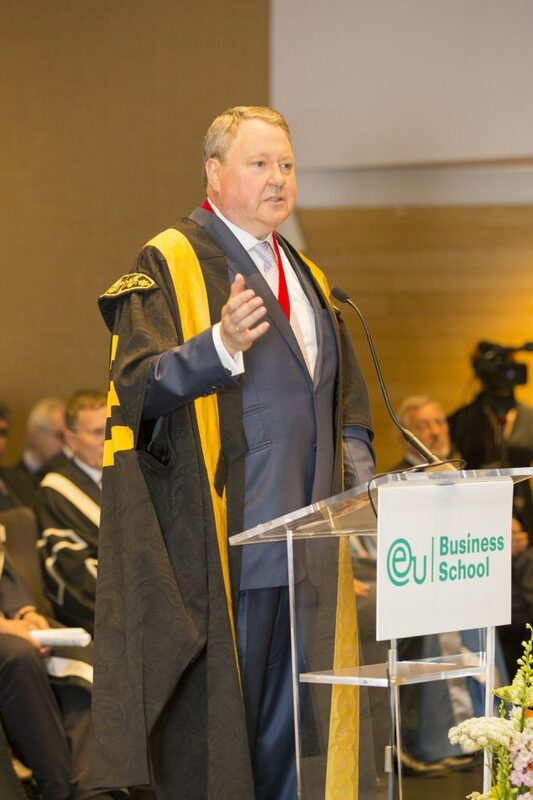 Evan Planchon, BA (Hons) in Sports Management and president of the EU student board, gave the undergraduate speech. 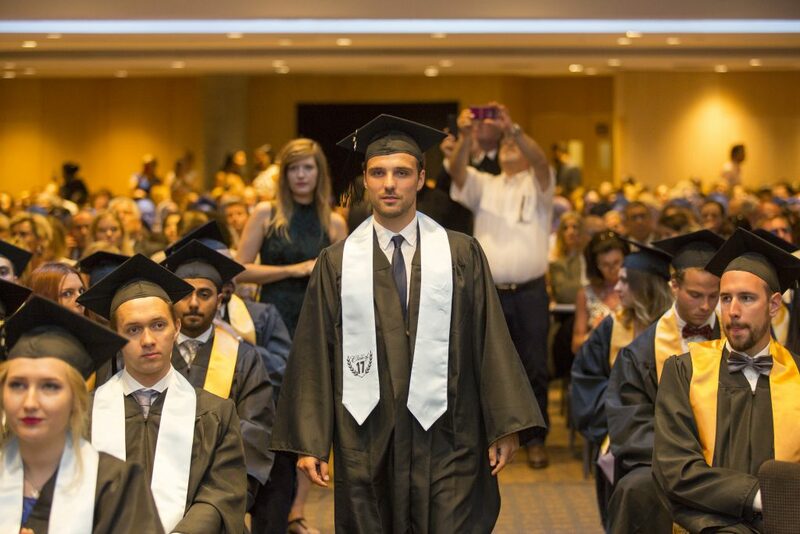 Rodin Affourtit, Thomas Miessen and Akshay Umesh, all MBA students, gave the graduate speeches. Miessen spoke about the importance of challenging yourself. Shortly after the ceremony, the celebrations commenced, with cocktails and hors d’oeuvres enjoyed in the hotel’s garden bar. Students mingled with family, faculty and friends, relating memories of their time at EU and speaking of their future plans, with views of the Mediterranean Sea and the sound of background jazz complementing the jubilant mood. To see more pictures of the evening click here.